A few things attracted me to this walk. 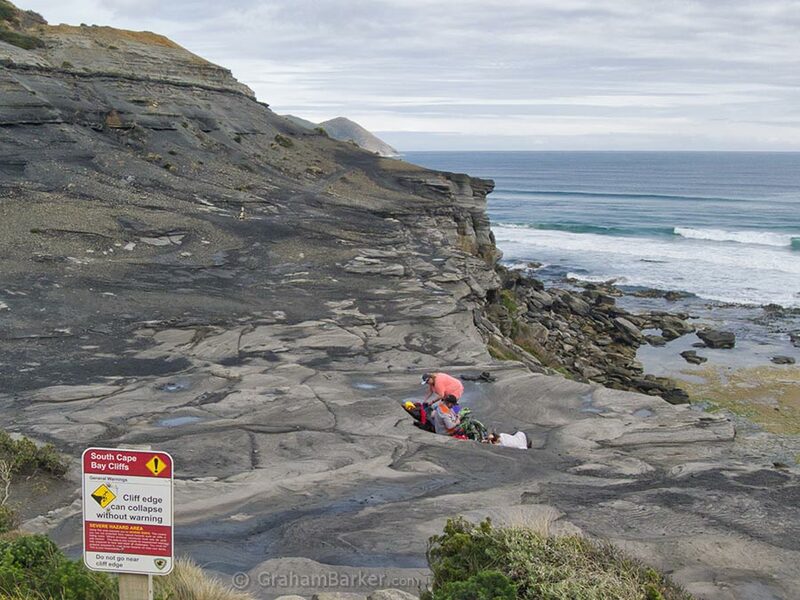 First, the lure of a geographical extremity - it provides access to the southernmost tip of Tasmania. 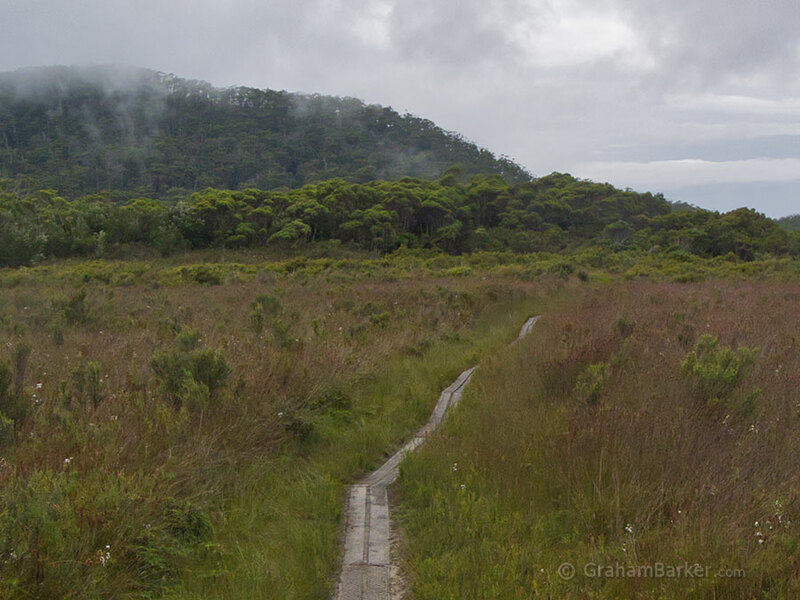 Second, it forms the first (or last) section of the South Coast Track - one of Australia's greatest and most difficult wilderness treks. I'd love to walk the whole track but probably never will, so being able to walk a small piece of it was a sort of second prize. The other attraction, to me at least, was that most walking guides describe the track as "easy". 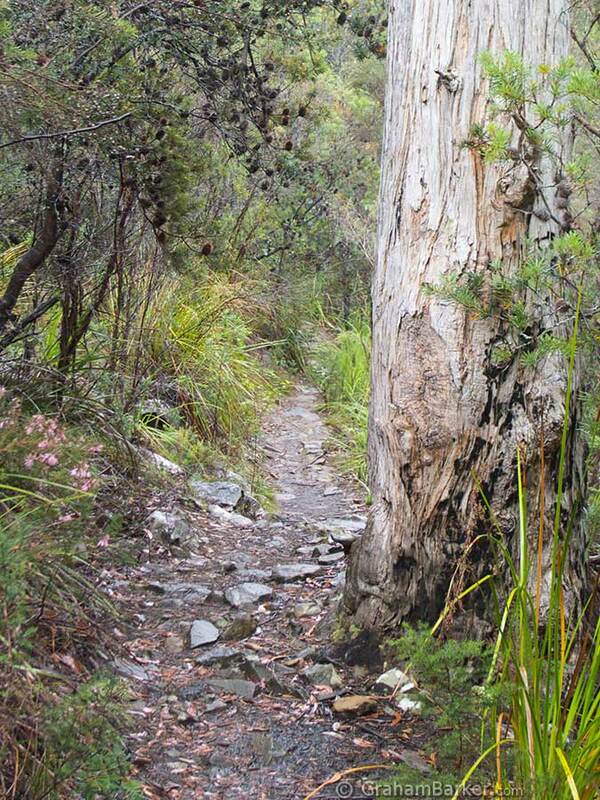 In a mountainous state like Tasmania, many walks can feel challenging to an ageing and unfit dude like me. Walks of an easier standard therefore get my attention. I don't think "easy" is entirely accurate, as I'll describe later, but compared to other walks I suppose it is. Getting there is a treat in itself. About 120km or two hours from Hobart, it's as far south as you can drive in Australia. I set out from from Dover, and south of there the drive is mainly through forests and near quiet inlets with a growing sense of remoteness. Arriving at Cockle Creek has a real end-of-the-road feeling, which is appropriate because it literally is the end of the road. A campground, ranger station and toilet is about all you'll find at the start of the walk. The track begins with a few kilometres of gently sloping rocky surface - not hard, but you'll need to watch where you put your feet. Then comes a longer stretch across flatter and more open country. Here some narrow duckboarding crosses the flat and damp or wet parts. Nearing the coast the track becomes more sandy, forested and hilly. Not big hills, but enough ups and downs to make unfit walkers tired and sweaty. That described me, so it was a pleasure to finally exit the trees onto the coastal cliffs and feel a refreshing sea breeze. Those walking in a winter storm may not appreciate the breeze as much, but all should enjoy the panoramic views of South Cape Bay. After emerging from the trees, the track traverses a sort of cliff, descends to a wild beach, then continues into the south western wilderness for a week or more of serious hiking. The day-walk doesn't have a definite ending, but most tend to turn back after reaching the beach, or else the cliffs just before the beach. It is worth spending some time here to soak up the views of the bay and beach, Lion Rock just off the beach, and the waves crashing onto more distant windswept islands. 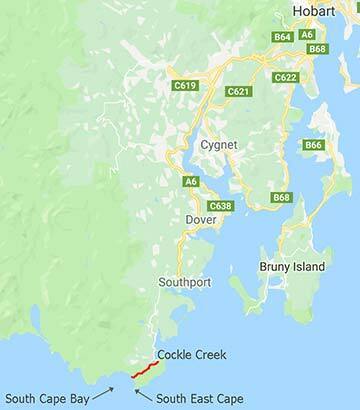 For those drawn to geographical extremities I should point out that the track doesn't quite reach Tasmania's most southerly bit of land. 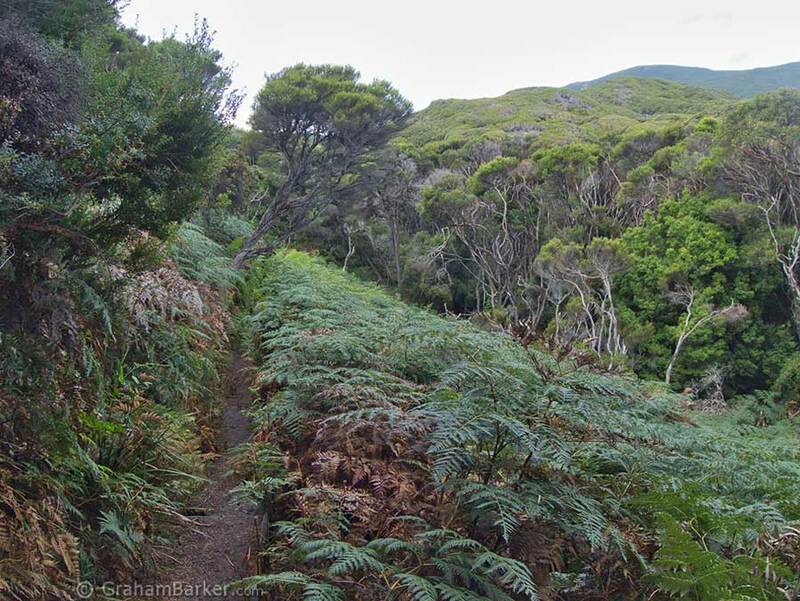 That point is at the end of a headland named South East Cape, but there is no track there - it requires additional hours of difficult walking through dense scrub. The track to South Cape Bay reaches the coast only a few kilometres short of that extremity, with South East Cape in clear view nearby. For most people this is near enough. The feeling of being at a southern extremity is real. The return walk retraces your steps, so you'll know what to expect. Although, like many out-and-back walks, the same scenery can look a little different from the other direction and in different light. And in this part of the world, probably different weather too. My main suggestion for this walk is to regularly "stop and smell the roses". The destination gets most of the attention, but for me the journey to and from is just as praiseworthy. I walked slowly and stopped often. 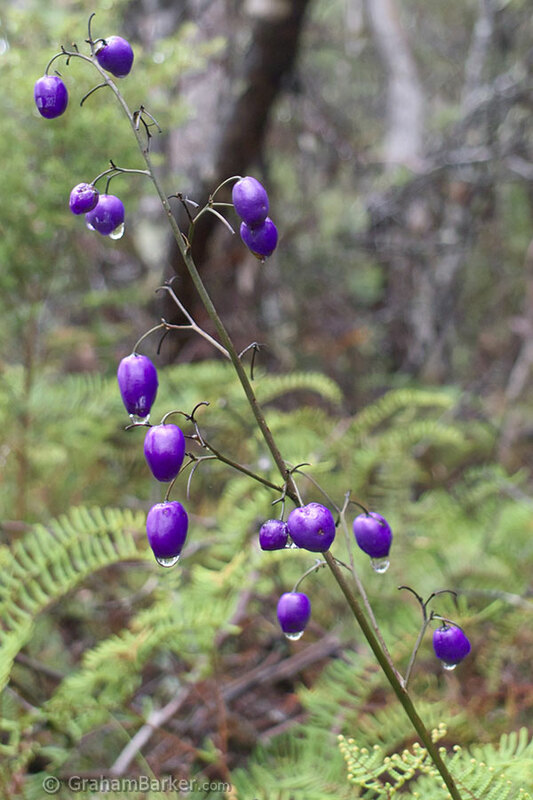 By taking the time to study the surroundings I was able to appreciate some of the exquisite beauty of the southern Tasmanian bush. There are some delightful bird sounds to be heard too - you just need to stop and listen long enough. In other words, view the whole 16km return walk as the attraction, not just the access track to an attraction. As for the 'easy' rating ... Some reviews I read emphasised the easy walking on duckboarding, and the mostly gentle slopes. That's not untrue, but it's not the whole picture either. The first few kilometres are rocky slopes which can be tiring at the end of the day. The last section near the coast has many ups and downs. There is substantial duckboarding, but it accounts for only a portion of the total distance. And 16km return is a substantial walk for most people. Serious hikers, or the young and fit, should find this walk fairly easy compared to other day-hikes of similar length. But for the older or less fit it's a decent workout which shouldn't be underestimated. It ain't no stroll in the park, but that's okay if you're not expecting it to be. 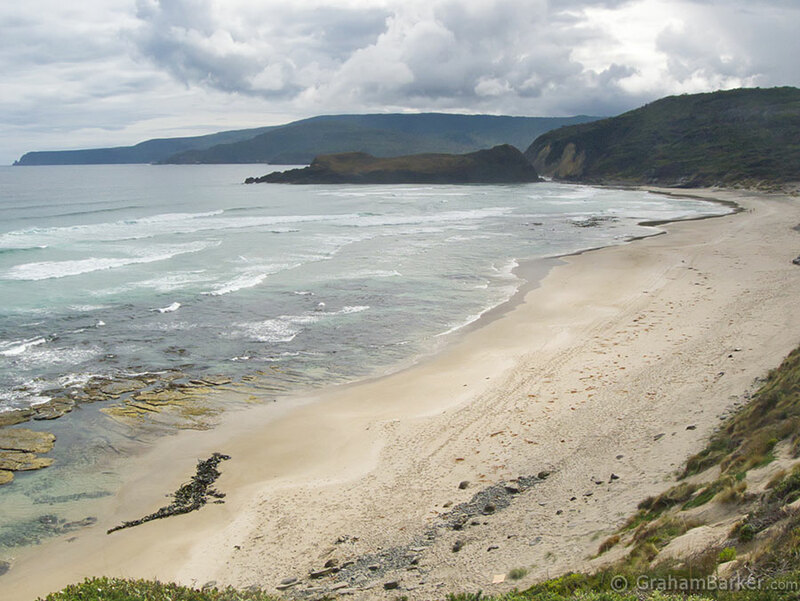 Whatever your ability, the walk to South Cape Bay is a great way to experience a lovely piece of Tasmanian coastal wilderness, and a great excuse to visit the most southerly bit of Australia.